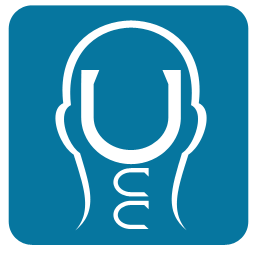 The Upper Cervical Blog: Evidence Based Care Is Medical? Evidence Based Care Is Medical? Because of the kind of work I do I attend a lot of chiropractic seminars, conventions etc. And since I run with the subluxation centered crowd these are usually the types of seminars and conventions I attend. I also grew up around this faction of the profession from an early age and have heard and seen countless presentations by subluxation centered chiropractors. One thing I have been hearing quite a bit of from the stage and on social media is this notion that "Evidence Based Health Care" is "medical." I understand chiropractors’ concerns in regards to the inappropriate interpretation and use of the concept of evidence based practice – that isn’t the issue. The issue is that requesting or requiring evidence regarding our care or our claims is considered "medical" or that research in and of itself is "medical" and therefore bad. 1. How do you determine that the practice member lying on your table is in need of an adjustment? 2. How do you determine whether or not the subluxation was reduced or corrected? Because unless you are just walking into your adjusting rooms and pushing haphazardly on the spine in no particular direction and for no particular reason then – you need evidence. You need evidence that a subluxation is present. You need evidence of its characteristics. If you don’t have those then you have nothing. So, now extrapolate your individual experience with this patient to the population level. We need evidence regarding the population level characteristics of subluxation as it manifests in the masses. In research this is called epidemiology. 1. What does the scientific evidence say? 2. Does the scientific evidence fit the clinical state and circumstance of my practice member? 3. What does the patient want to do? All three of these are overseen by the doctor who helps the patient make decisions about their health care. It’s important to note that the absence of evidence does not mean that chiropractic (or any other care) is not warranted for the practice member. It just means there is no scientific evidence. Absent such evidence the decision to undergo care is based on the remaining factors. It is also important to point out that there is an evidence hierarchy and that there are higher and lower levels of research. So even in a case where there is not a single case study, never mind a randomized controlled clinical trial, that does not mean there is no evidence. In situations like that one may need to rely on basic science research to bridge the evidence gap in order to make an informed decision. So next time you hear a chiropractor say "we don’t need no evidence", do us all a favor and educate them on what evidence based practice really means. As always, I look forward to comments, feedback and suggestions.